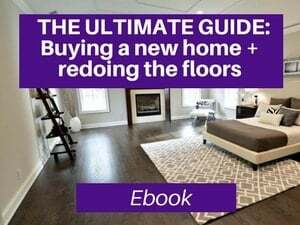 Installing hardwood flooring – how long does it take? 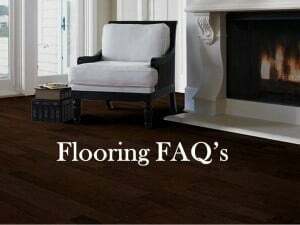 How long does it take to install hardwood floors for your home in Westchester NY? This is a common question among Westchester homeowners, especially if deadlines are attached (e.g. a move in date) or coordination with a larger project (e.g. kitchen remodel or new addition). 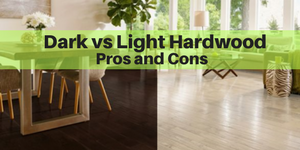 While all projects vary in length, usually the largest factor is whether you are installing Prefinished or Unfinished hardwood. 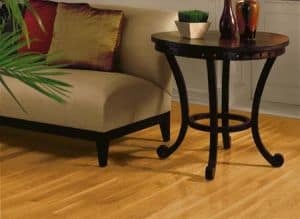 Generally, prefinished hardwood will take longer to arrive, but less time to install, while unfinished hardwood will arrive quickly, but will take longer to install due to the drying time. Every situation is different and sometimes the focus is on meeting a specific deadline; other times the timing is flexible but the customer wants the least interruption time, especially if they are living there during construction. Often it can take 1-3 weeks for the hardwood to arrive. (Occasionally, it will take longer if it’s a real specialty item or if one of the transition pieces is on back order). Sometimes, one of the hold ups on prefinished hardwood is the matching transition pieces (sometimes these items are on back order an they can really slow the order down). 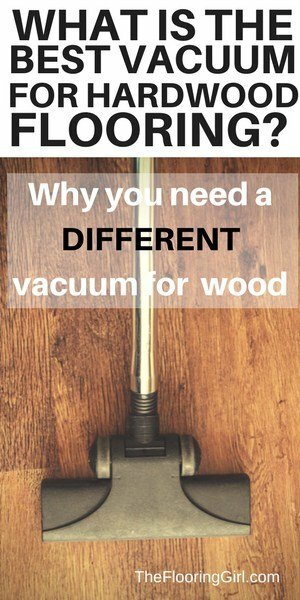 Then, the hardwood needs to be dropped off for acclimation, so the wood gets used to the temperature and humidity in your house. This should be done for a minimum of 2 days. For denser woods (e.g. 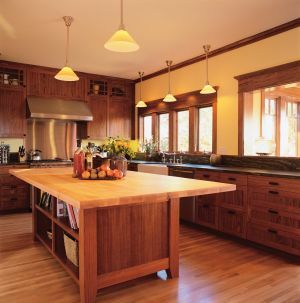 Brazilian Cherry or Brazilian Walnut), it’s best to let the wood acclimate for longer (e.g 5-7 days). 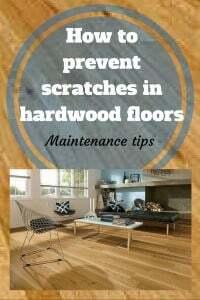 There is never any harm in letting the hardwood acclimate longer. It’s ideal to drop this off on the same floor/level of where the hardwood will be installed. Installation will often take about 1-4 days but this can vary on the amount of wood being installed and complexity of the area (e.g. 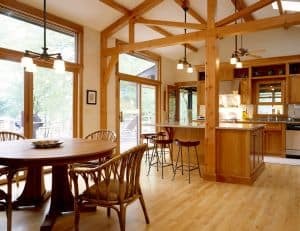 are there cabinets to work around, are there a lot of angles (or curves). If we are installing on a diagonal, it can take longer as there are more cuts. 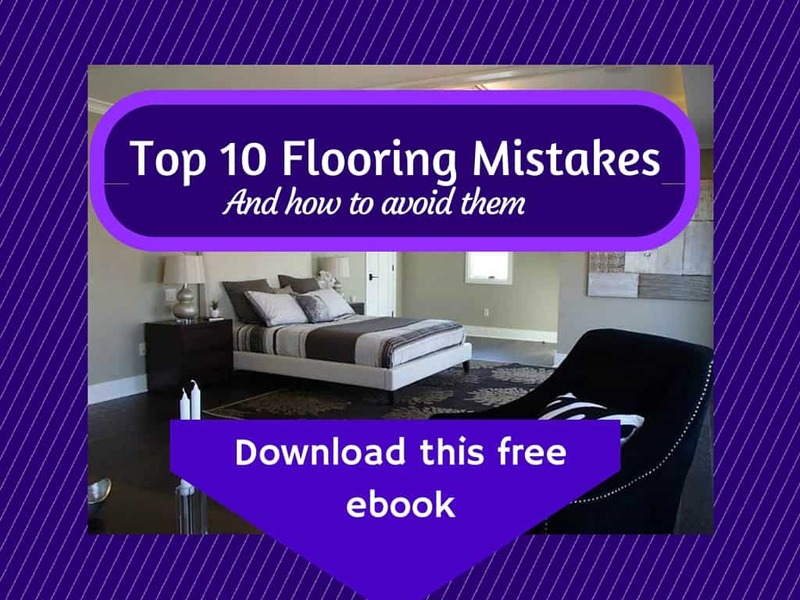 If there is flooring that needs to be ripped up, it can take a bit longer. 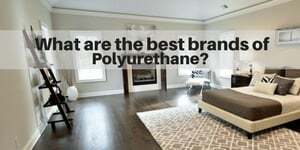 Generally, ripping up carpet and laminate can be done in the same day. Ripping up tile can take at least 1 full day (longer if it is over a concrete slab), so if you have that be sure to plan some extra time. If furniture is being moved, that can also add to the timeline. 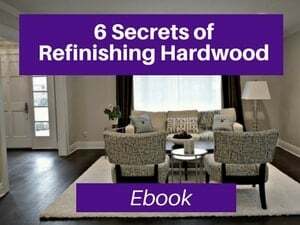 After the hardwood is installed, there is also some trim work involved – either adding in shoe molding or base molding (or replacing your existing base molding). There may also be some time involved in coordinating schedules for delivery dates and install dates based on your and the installer’s availability. 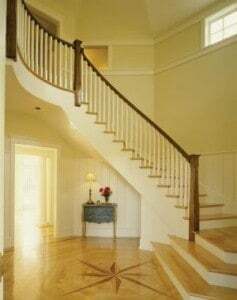 Sanding & refinishing often takes 3-5 days (+ extra day drying)pending on size of job, whether a stain color is used/what color (darker can take an extra day), number of coats of poly (assume on day per coat) and humidity (if it’s humid, it can often add an extra day to the process. Of course timelines can vary based on the project scope, unforeseen issues (e.g. 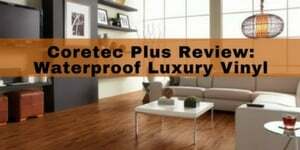 after floor is ripped up, if sub-floor is damaged and needs repair), humidity and/or delays due to holidays or customer’s schedule, but I think these are some good guidelines. 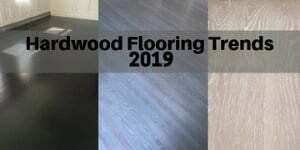 Generally, site finished hardwood will take more days in the home/drying, but the project will usually be completed sooner from the time the order is placed as the wood is usually on hand. Homeowners should ask about lead times and coordination with other work that is planned (e.g. painting, cabinets), etc.. Sometimes, there are ways to speed up times (e.g. 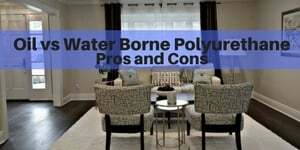 use a water based poly) but usually these solutions require trade offs (e.g. water based poly dries faster but costs more, doesn’t look as nice and doesn’t last as long. Sometimes, customers don’t realize the ideal order of projects and this can cause delays and extra costs (e.g. Is it better to paint or do the floors first?) The best plan is to have a plan and not leave it to the last minute. Then, you can choose whichever option works best for you (in terms so what you like, budget and time frame). If you are moving into a new home, and are going to be on a tight time line, it’s ideal if your real estate agent can let us into your new home to be so we can take measurements and give you an estimate. That way, you’ll know ahead of time how much it will cost and how long it will take. 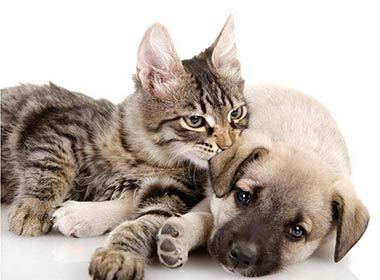 Some of my customers will order the product before closing, so that we can delivered the day after closing to shorten the time line before move in; others prefer to wait until the after deal is closed and place the order that day or the following day. 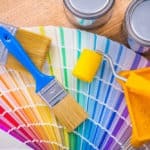 Is it better to paint or do the floors first? 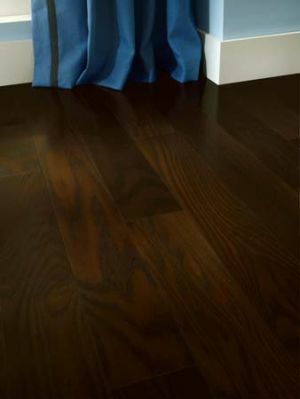 What types of hardwood floors are good for dogs? I would say.. just hire someone to do it.. like you! Too much fiddling with things that I can better use my time elsewhere. Great post that people certainly will be looking for. Kim – Yes, often it makes much more sense to hire a professional. It will come out way better and last longer, not to mention save people a lot of time. Thank you for your kind words. 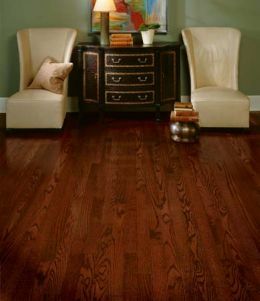 So many factors to consider in replacing or installing hardwoods. I know our kitchen flooded and insurance took forever.. but the actual install was just a day. Sorry to hear this Brenda. This should not be taking very long. It sounds like you “floor guy” doesn’t know what he’s doing and sounds like he doesn’t have much experience. 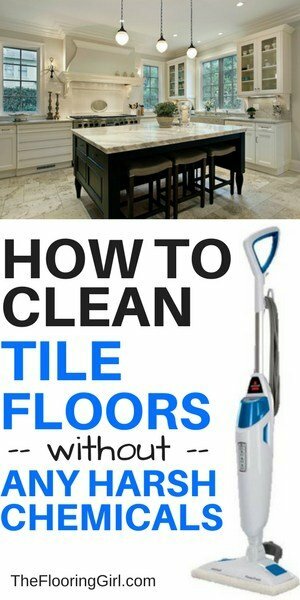 It sounds like you need to hire a real contractor who knows flooring and is licensed and insured. How does it take to lay a parquet floor for a room 15 x 15? 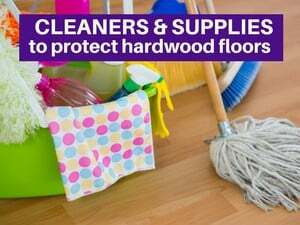 This does depend on what type of parquet, as well as whether floor prep is needed and/or sanding and refinishing. If this is standard 12×12 tiles that glued down, I would say less than a day. But, you probably need to wait at least 24 hours before walking on it (unless it’s very humid and then maybe 2 days). Nathan – I good. I’m glad it’s helpful. New home buyers need to understand this so that they plan ahead on their timeline and have a place to stay.